Peaks Island Press proudly announces the second volume in the Donna Howard Mystery Series. Since her adventures in Coin, Donna Howard has become an established investigator of relics and antiques, with the help of deceased historical people only she can see. This time around, her investigation takes her to Salem, Massachusetts, where she delves into the town's haunted history and the modern world of antique hunting. 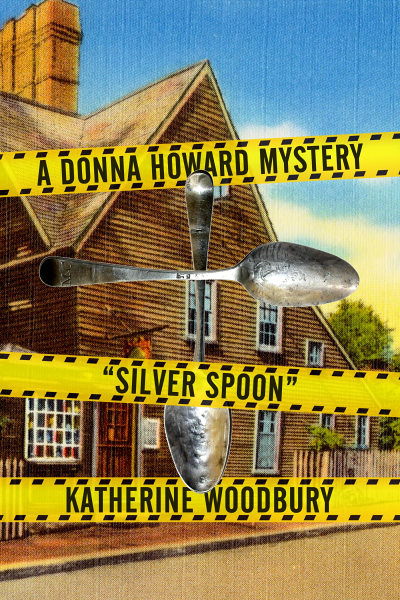 Her research into the provenance of a silver spoon leads Donna to a stash of unexpectedly valuable junk in an old man's basement, an old man whose death Donna begins to suspect was less than "accidental." Along with opportunistic antiquers, she must also contend with a possible murder, a possible possession, and a possible boyfriend. Because nothing can make the dead past and the living present more precarious than the unpredictable complexities of human relationships.